SailCoach staff have been operating Regatta Coaching Tours for over thirty years now. Coaches are expensive to bring along to regattas, with there flight tickets, accommodation, meals, coach boart charter and the coaching fees which all adds to the cost of sailing your regatta. If you’re not in the lucky position of having a national coach with the Federation paying the bill SailCoach has the answer with our Coaching Tours. Each year we improve the service so the sailors get the best deal possible and the best value for money as the coaching resources are divided between sailors. SailCoach regatta tours are the ideal way to prepare for an event and ensure you get the most out of your regatta. The regatta coaching tour involves having the opportunity to be coached at the race venue and sailing in the SailCoach training group. This allows the sailors to familiarise themselves with local conditions while the training group keeps the intensity on the water high. We ensure sailors are up to race pace by the time the regatta kicks off! 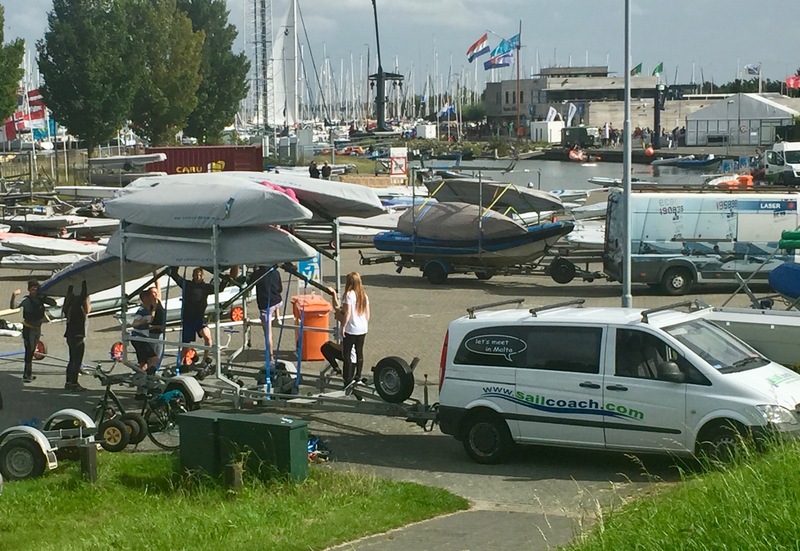 SailCoach once again will be providing Laser Sailors from around the world with great regattas on the European Laser Circuit and at a number of World Championships. The depth of skill in the fleet makes these regattas the toughest and most challenging you’ll come across in Laser sailing. Okay, Europe can be a daunting place to come to with its multitude of languages, clubs, training and regatta venues. But if you ever want to be one of the best, you are going to need to get over in Europe and mix in with the best in the world. SailCoach has been operating our European Coaching Tours for many years and you can have access to that knowledge by joining one of tours. We target a group size of 6 sailors to ensure our quality coaches can give you more attention. That’s right, only six spaces so book early to avoid disappointment. The schedule for the Regatta Coaching Tour is in our calendar above. We are able to offer this package at such good prices because we pass on the economies of scale on to you, the clients. To get the most out of your European visit you should arrive for the training group prior to the regatta. SailCoach is pleased to be able to offer a complete package with airport transfers, accommodation, charter Laser, and these days we have our own in-house strength and conditioning coach along with our world class on the water coaching The package is ideally suited for Laser sailors who are either too busy to arrange all the details themselves or are not sure where to start in putting a programme of European training and competition together. The SailCoach Coaching Tours are the perfect way to spend some time in Europe and really push yourself towards medium and long-term goals. SailCoach has drawn on over thirty years of experience on the European Laser Circuit to bring you this service. We have selected a number of the biggest and best regattas on the continent and put together a complete package that only leaves you to decide which time of the year suits your schedule. You need to arrange your own flights and regatta entry. We will do literally everything else to organise your trip from the moment you touch down to the moment your weary legs take you back up to your A380 for your return journey, leaving you time to go out and get fit and psyched for your trip. We work hard at “making you better” so please come and join our coaching tour?